(Below is an extract from an ashirwad, which His Divine Holiness Acharya Swamishree gave, which explains the meaning of the hindola festival.) Literally translated, a hindolo is a swing. Perhaps some of the earliest and fondest memories of every child are of being gently rocked to sleep in their cradle (paaranyoo). Their mother, father or elder sibling would have rocked the baby's swing and sung sweet lullabies and hummed melodious tunes to them. It is said that the strength and inspiration learnt in these early days, during these times, from the stories that were told and the songs sung whilst rocking the cradle has the most important influence in creating and moulding the character and nature of a child. These are the days that primarily influence the baby's personality and it is these times that can have the greatest impact on the rest of the child's life. Thus this swinging, cradling episode is said to be one of life's biggest influences. Our forefathers lived primarily in the forests. They used to tie slings from tree branches and swing their loved ones upon them. In the auspicious month of shravan, when the gardens would have been laden with flowers and blossom, when the weather would not have been too hot and when a gentle sweet breeze would have been blowing, Radha and other friends used to take the baby Shree Krishna to the parks of Gokul and Vrundavan. They used to cradle him on swings decorated with flowers and would derive great pleasure from playing and gesticulating with him in this way. It is from then, and in remembrance of this episode of Shree Krishna's life, that the festival of hindola was initially celebrated each year. In essence, the hindola festival is an opportunity for each devotee to become engrossed in the Lord's murti. As you stand in front of the hindoro, gently swinging the Lord and having the divine darshan of the enchanting God, you can quickly become immersed into His lustrous murti and experience a tranquil state of mind. Hindolas are thus a mode through which to meditate unto the Lord. We all want God's mercy and divine happiness to remain ever blossoming within our souls. But for this to happen, we must cultivate a garden in our souls, a garden of mahimaa (glory); i.e. we must understand and appreciate God's magnificence. In this garden, we must plant huge trees of gnaan (knowledge); i.e. we must have knowledge of God's greatness. Only then can we tie swings, swings of prem (love) in our hearts, so that we can gently rock the ever-merciful Lord upon them, forever. And to that swing, we must tie a string, a string of sneh (affection), with which we can lovingly cradle our beloved Lord. Jeevanpran Swamibapa says that by creating such a garden within one's heart, the Lord become so pleased, that He will readily take the soul into His murti. Then, that soul will forever be able to experience the eternal bliss of the supreme God. The Lord will cradle that soul within His murti, for all eternity. 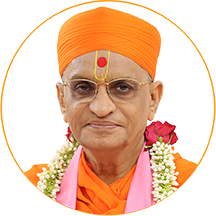 If we look through the Jeevan leela of the supreme Lord Swaminarayan, we will see that His sants and devotees used to build great ornate hindolas on which to swing the Lord and please Him. In remembrance of these occasions, this important practice is still alive today at Shree Swaminarayan Gadi. 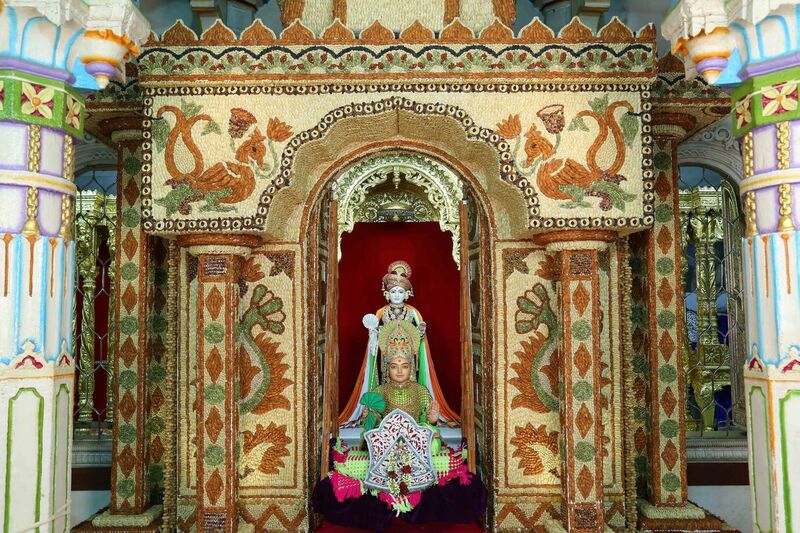 Sants and bhaktos (devotees) skilfully design and create magnificent and ornate hindolas upon which to seat Lord SwaminarayanBapa Swamibapa during the month long festival. Jeevanpran Swamibapa Himself took great pride in creating different hindolas. Bhaktos from far and wide used to gather to admire Swamibapa's remarkable skills in the design and crafting of the hindolas. From Jeevanpran Swamibapa's example, we can appreciate the importance of this hindola festival. 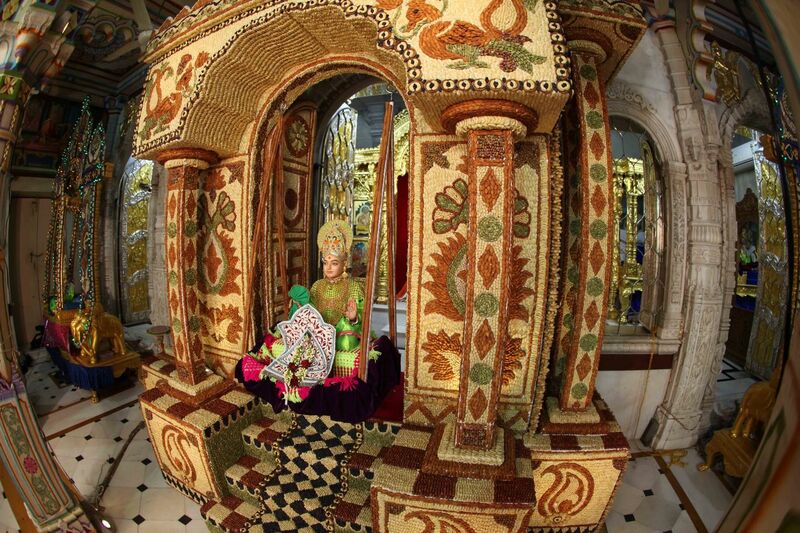 The dedicated and highly talented sants and devotees spend time and effort to decorate the hindolas with a variety of different articles. And in this way, they demonstrate their bhakti towards the Lord.